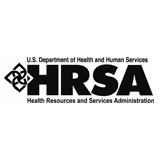 Last week, HRSA published a Final Notice in the Federal Register, and invited comments, amending the uniform standards for requesting a core medical services waiver for fiscal year (FY) 2014 and beyond. This revision provides Ryan White grantees more flexibility in the timeframe for applying for waivers. The change in the standards will allow grantees to apply for a waiver at any time up to their annual Part A, B, or C application submission, at the same time as their annual Part A, B, or C application submission, or up to four months after their grant award for that funding year. It will also allow grantees to plan with certainty about the waiver and to make adjustments to their Ryan White Care funded systems in response to Affordable Care Act implementation in their areas. Ryan White Part A, B, and C grantees are required to spend 75 percent of their funds on core medical services and 25 percent on support services. Prior to this policy announcement, grantees seeking a waiver of the 75 percent requirement were required to submit core medical services waiver requests at the same time as the annual grant application. HRSA believes that this change will allow grantees to more robustly assess and develop their funding and service delivery proposal. HRSA clarifies that grantees approved for a core medical services waiver are not compelled to implement that waiver should the grantee determine that the actual needs of the jurisdiction are best met by maintaining funding for core medical services. The revised standard provides clarity on specific documentation expectations for each element of the waiver. It more clearly outlines the required documentation whether the waiver request is submitted separately or jointly with the annual funding application. For waiver applicants that do not submit their request with their annual grant application, HRSA requires that these applicants submit a tentative allocation table outlining the percentage of funds that the grantee plans to spend on core medical and support services under the waiver, if approved. This will provide additional information to HRSA on how the grantee anticipates allocating its resources and will help to demonstrate that the request for a waiver is consistent with either the applicant’s forthcoming grant application or their proposed budget revision. In addition to the applicant’s annual grant application, waiver applicants now must also demonstrate that the proposed waiver is consistent with the Comprehensive Plan and Statewide Coordinated Statement of Need. Written comments should be sent via email to the Division of Policy and Data, HIV/AIDS Bureau, Health Resources and Services Administration at RyanWhiteComments@hrsa.gov by June 24, 2013. The policy will become effective on September 23, 2013. For more information or to view the new policy, visit https://www.govinfo.gov/content/pkg/FR-2013-05-24/pdf/2013-12354.pdf .